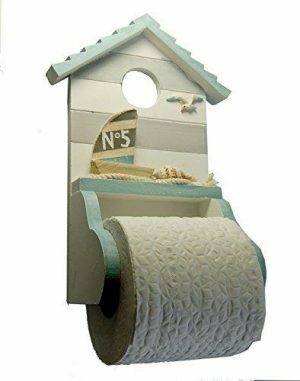 A decorative shabby chic wooden nautical / seaside themed toilet brush holder complete with white plastic toilet brush. 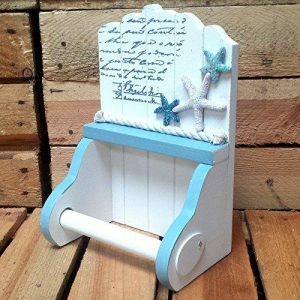 The wooden holder is decorated with a metal 11cm seahorse. 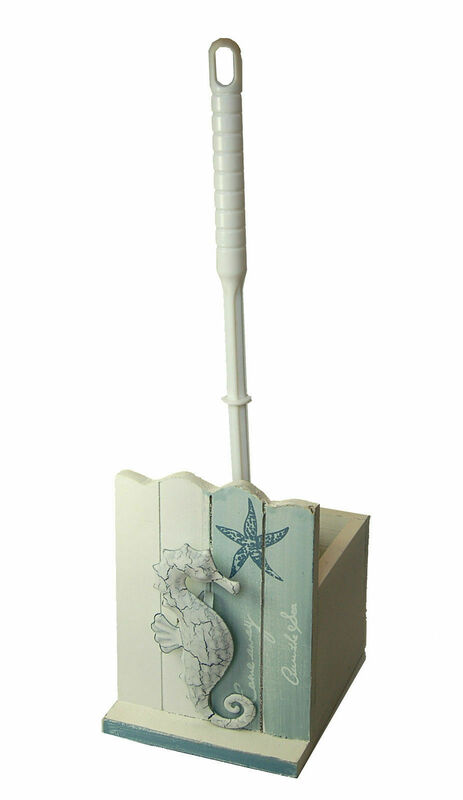 The brush sits in a white plastic pot, which is placed inside the wooden holder. The height of the holder including the brush is approx. 38cm. 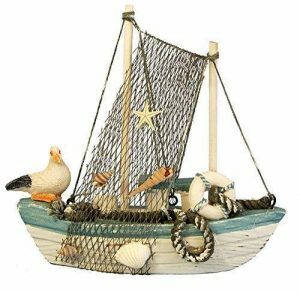 The wooden holder measures approx. Height 15.5cm, Width 11.5cm and Diameter 14cm.